Every candidate comes with their own set of unique interviewing challenges. 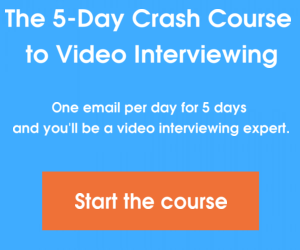 That’s why we’re tackling how to video interview different types of candidates with this how-to series. Today, we’ll be talking about how to use video interviews to connect with candidates from the Millennial generation. Tech-savvy Millennials can be of real value to your organization if you know how to connect with them in the video interview. It’s no secret the Millennial generation is more plugged-in than any prior generation. When it comes to the digital environment, they’re natives. They grew up with computers at their fingertips and most embrace technology in their everyday lives. This is why many companies look for Millennial candidates to fill tricky tech positions and manage their social media. Not all Millennials are technology wiz kids, but these young employees can nevertheless bring real value to your organization. So just how do you connect with Millennials in the video interview? How can you tell a great Millennial candidate from an entitled one hoping to skip all the unpleasant aspects of the job? The common view of Millennials is that they were born with a computer in one hand and a smartphone in the other. While it’s true Millennials grew up around emerging technology, remember not all Millennials will be equally tech-savvy. Utilize the video interview as an opportunity to find out just what your candidate knows when it comes to technology. If you need an employee with a working knowledge of a certain program or one who understands social media marketing, make sure to use the interview to ask for concrete examples of their know-how. Remember, it’s easy to stretch the truth, so look for members of the Millennial generation who give you concrete examples of their qualifications. Another common perception of the Millennial generation is that they want to be handed everything on a silver platter. In the negative view of these young employees, Millennials want to skip the hard work and jump forward to the point in their career where they can take on additional responsibilities. This might certainly be true for some members of the Millennial generation, but a stereotype should not define an entire group of job seekers. In the video interview, make sure your candidate is looking forward to learning in the position. Ask the candidate what they’d like to learn from the job and what skills they would like to acquire. Cocky candidates who seem like they know it all probably won’t be a good fit for your company, or for your entry level opportunities. Great Millennial job seekers will admit there is still much they have to learn. However, they will also know exactly the ways they’d like to use the job to expand their skill set and achieve more in their career. Millennials love the ability to grow within an organization and hone their skills. They don’t want to take on a dead-end job; they want a job which will afford them the opportunity to advance in their career. In fact, 95 percent of Millennials are motivated to work harder when they know where their work is going. Use the video interview as an opportunity to show off your company culture. Show these job seekers your company is a place where hard work is appreciated and growth is offered to those who put in the effort. These candidates also yearn to be taken under a wing and mentored. Show them your company is a place where feedback is prized. Not every Millennial candidate is created equal. Some will be the superstars your company needs, while others will be all wrong for your organization. This is why it’s important to really focus in the interview process to find the Millennial job seekers ready and willing to learn and grow on the job. What are some things you look for in great Millennial candidates? Share in the comments!